Paul’s sneakers are old, and he needs a new pair. 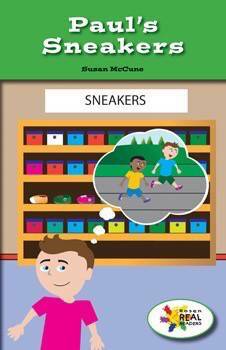 In this fictional narrative, colorful illustrations and key vocabulary will help readers follow along as Paul goes to the store with his mother and gets new sneakers. This fiction title is paired with the nonfiction title Old and New.